Minnesota West Ag Services believes that the first step to profitable marketing is to understand your costs. 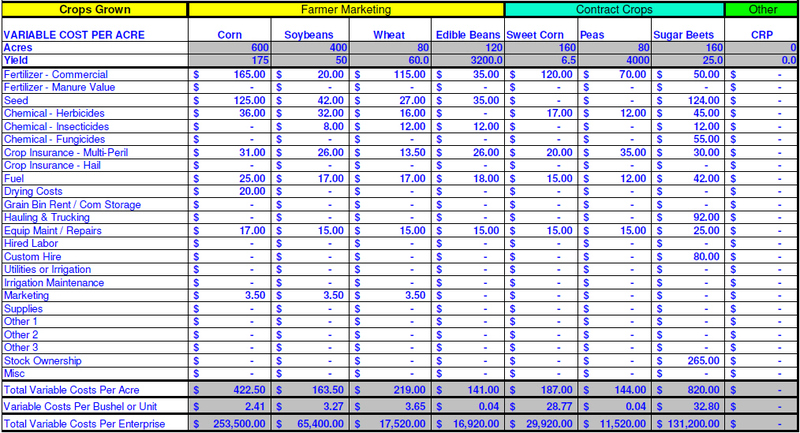 With an easy to use format, we help producers list their expected variable costs, land costs, and fixed costs to establish a "Profit Matrix," "Revenue Goal" and "Sensitivity Analysis" for each of their crops. During the planing stage MNWestAg uses the "MNWestAg Position Manager" software and a forward looking approach to help producers estimate their cost of production. Revisions can be made throughout the year to update costs to provide producers with their actual cost of production. The estimated cost values established are used within the sales tracking section of the "MNWestAg Position Manager" to provide the producer with analysis of profitability. The Second step is to estimate the variable costs per acre for each crop and then convert the amount to total cost per enterpris. 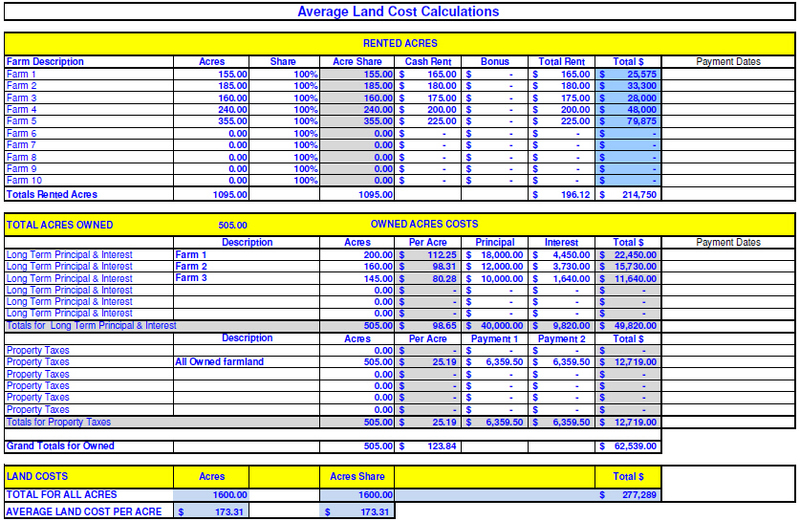 The Third step is provide the costs for rented land and the cost of owned property to calculate a weighted average land cost. The Forth step is to provide fixed costs. Using a percentage allocation based on criteria such as crop acres for each crop or allocations to livestock enterprises, reports are generated for fixed costs allocated to each enterprise by both total dollars and dollars per acre. The Fifth and final step involves establishing a Profit Goal or Return To Equity or Assets. By using the producer's total equity or assets and a percent return, a simple allocation can be made to establish a calculated return goal for each enterprise. The profit goal can then be modified to meet the producers realistic goals and then provides a meaningful realizable goal based on the expectations for an individual crop marketing year. The Cost Matrix uses the data from the associated costs listed for each crop.The operating costs per acre and total enterprise costs are used to calculate the cost per bushel or unit for various yeilds in the sensitivity anylasis. In addition, the return goal is added to the costs to provide a revenue goal. A Sensitivity Analysis for each crop provides a look at potential profitability per acre. The analysis can also show the impact of basis on the potential outcome. In addition the crop insurance revenue floor values can be enabled and reflected within the sensitivity analysis.